"Nockenwelle für mechanische Roller, BBM, adv. duration: 308 int./308 exh., lift: 0.575 int./0.575 ex"
Duration at 050 inch Lift: 262 int./262 exh. Advertised Duration: 308 int./308 exh. Intake Valve Lift with Factory Rocker Arm Ratio: 0.575 in. Exhaust Valve Lift with Factory Rocker Arm Ratio: 0.575 in. Valve Lift with Factory Rocker Arm Ratio: 0.575 int./0.575 exh. Intake Valve Lash: 0.020 in. Exhaust Valve Lash: 0.020 in. 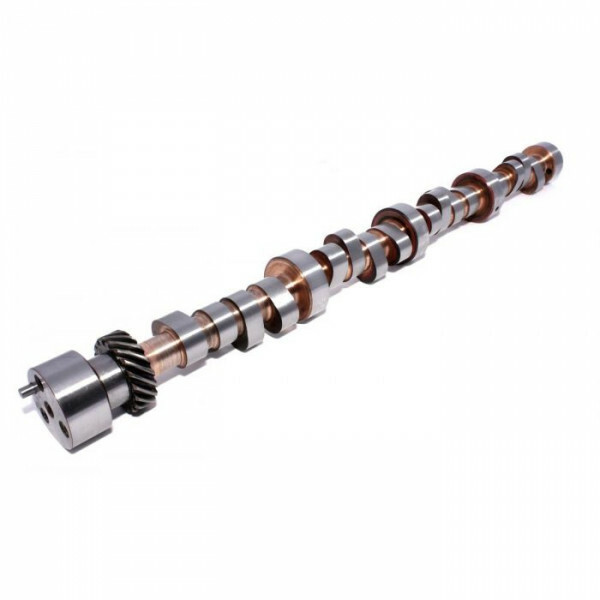 Serious camshafts for any application! COMP Cams Magnum solid roller camshafts are designed for everyone from the serious street performance enthusiast to the all-out competition drag racer. Whether you're driving a street rod or show car with power accessories, or a super gas, super competition car on alcohol, one of these cams will fit your engine's needs.